Worksheet on 9 times table can be printed out. 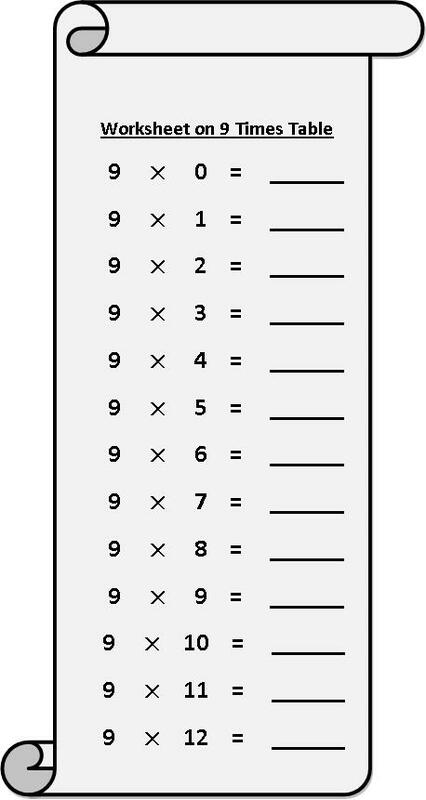 Homeschoolers can also use these multiplication table sheets to practice at home. This page is full of free multiplication worksheets on 9 times table that are suitable for mental math practice. Parents and teachers can keep their kids busy in practicing free printable multiplication table.